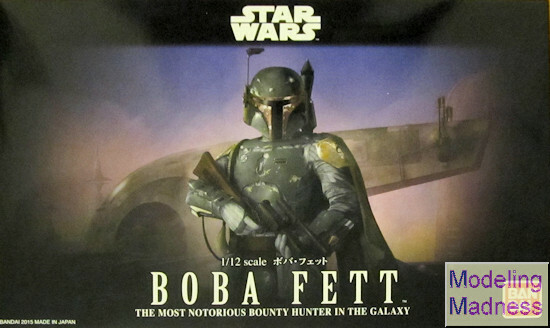 Boba Fett is one of the most popular Star Wars characters. At the time of the original trilogy no one knew anything about him, but what the fans mostly knew about him was that he was one bad mother (shut your mouth) of a bounty hunter encased in an armored suit. And then he died like a punk because of a faulty rocket pack ignition caused by a blind Han Solo in Return of the Jedi. Then the prequels happened where we discover that Boba, son of Jango, was a whiney brat of a clone with daddy issues who would grow up looking to avenge himself on the man (who in another time and galaxy played Shaft) that chopped off the head of his dad. So much for backstory. Boba Fett was originally played by British actor Jeremy Bulloch. He based his portrayal on Clint Eastwood’s famous “Man With No Name” character despite having very few lines. He believed that “the less you do with Boba Fett, the stronger he becomes.” Unfortunately, George Lucas did not listen to Jeremy. When Jeremy read how Boba died in Return of the Jedi, he became very upset. Who wouldn’t? If you want to read more about Boba then you can find his Star Wars extended universe bio on Wookiepedia. 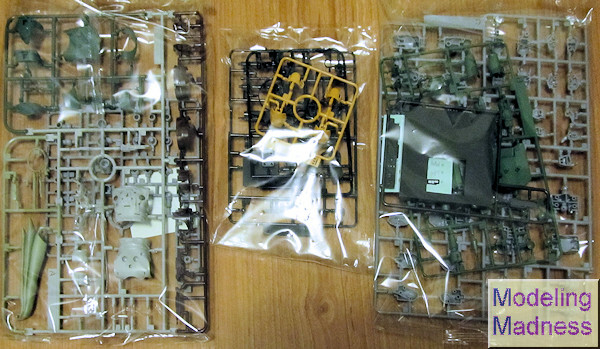 It consists of around 141 parts (some duplicates are provided) on eight sprues of varying colors including one multicolor sprue. The detail on the parts is very good and the parts themselves are free of flash. Only some minor sanding is required. The sprue colors are based on the actual colors of his armored suit so that it won’t require much painting for those non modeler fans. However, you can paint/weather/detail it to make the figure colors pop out which is what I am going to try to do. Like the other Bandai Star Wars kits, this figure is designed to reduce the amount of scraping/sanding/filling/swearing required to make the kit. Based on what I’ve seen in the instructions, the seams are hidden behind armor plate and or actual seam lines. Very clever of Bandai and it shows how much thought/design was put into this model. It includes all of Boba’s matching accessories including cape, jet pack, rocket launcher, flame thrower and blasters. The only real noticeable detail flaw (even I spotted it right away and I’m not exactly a fine detail guy) is Boba’s blaster which has a smooth barrel instead of the finned barrel as seen in the movies. Boba Fett comes with some markings consisting of waterslide decals (for advanced modelers) and stickers (for kids or adults who can’t be bothered.) Your choice of what to use. The instruction booklet is in Japanese (not surprising as this kit is strictly for the Japanese/Asian market.) The problem is that Boba’s colors aren’t exactly common and require mixing of paint which is difficult unless you can read Japanese. As for me, I am going to paint it based on colors that are close enough. Another wonderful Star Wars Bandai kit. Recommended for anyone from the beginner/fan to the experienced modeler who wants to do something simple and fun. It is a damn shame that a kit like this will not be available through regular distribution channels to Star Wars fans in North America. If you can get your hands on one you will not be disappointed.